In this edition of Soul Notes, let’s hold in our hearts this notion of excellence. What, if any, purpose does it serve? Is it a worthy goal, an end state? Or, is it rather a state of being? Is it something to be embodied, rather than pursued? Does it matter? Does embracing excellence (or, its opposite – not embracing it) come with a price? What does it cost, in terms of our serenity, health, or overall well being? What impacts result? So often we hear the phrase “in the pursuit of excellence.” Is it, however, all about the pursuit? 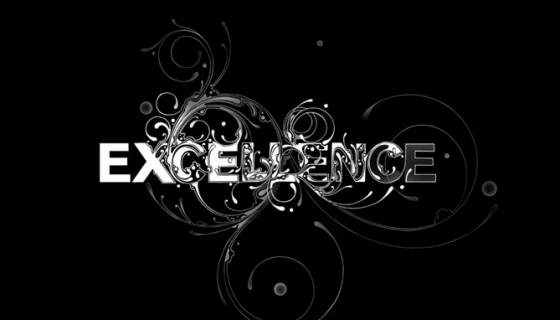 I’d like to challenge each of us to replace that with: embracing excellence. Unlike the pursuit of something, embracing it sounds and is more encompassing, more in the moment, more present, more “now.” Pursuing sounds as if it’s a constant state of grasping for something that’s still out in front of you, almost as if it is something that remains ever oh so slightly beyond your reach. It seems unattainable. For those on a spiritual path, I would venture to say that it is the embracing of, rather than the pursuing of excellence, that rings true. It’s a setting of an intention that each of us will embody a way of life, of living, that emerges from our highest state of being. It is soul centered, soul activated, soul sustaining. Accordingly, it’s something that, once accessed, can and may be cultivated and developed. During this season of Northern hemisphere harvesting, it’s a good time to reflect on what each of us has already cultivated with regard to excellence in our lives. Take a few moments to inventory your relationships, work endeavors, wealth signs, health indicators, and the like. Remember, as an excellence “embracer,” you’re simply staying on the path of excellence, nurturing and cultivating it throughout your journey. Survey your life’s stock. Appreciate and celebrate all the fruits of your excellence to date! For those areas that are still germinating and not quite yet ‘in full bloom’ for you, continue to foster their continued growth, regeneration, and renewal. Excellence is not an innate gene or trait. Not unlike integrity, or loyalty, excellence is a quality. It’s a commitment. Embracing it is a choice each of us can make — today, and every day. Why does embracing excellence matter? I’d say it matters for many of the same reasons we enjoy watching the Olympics! It brings out the best in ourselves, and in others. It motivates. It inspires. It raises us, and others, up. Yes, in the Olympics there are medal counts and world records, and pride amongst nations. What we experience when witnessing the various Olympic events, however, runs deeper than that. 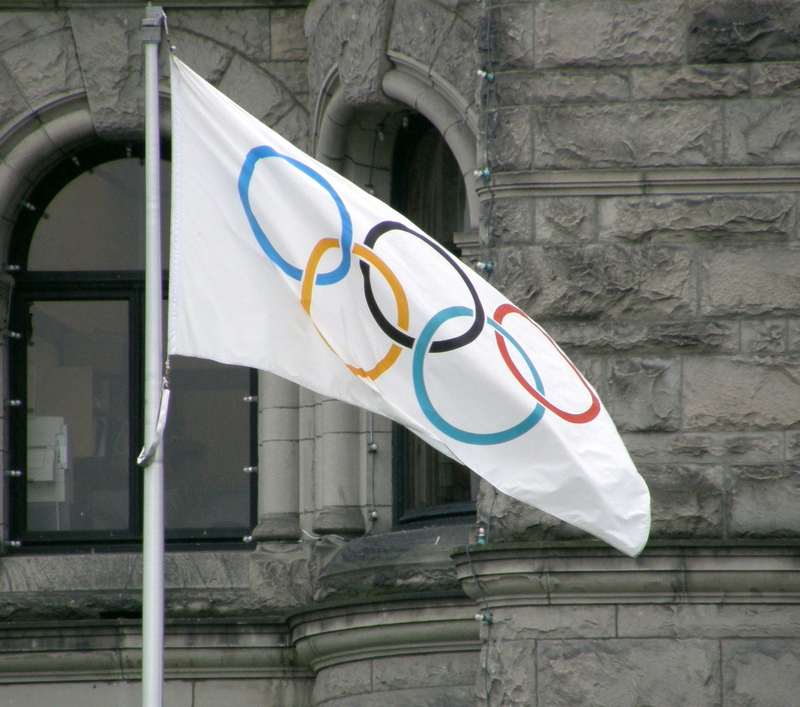 A few brief weeks or even days after the Olympics have ended, many of us do not even remember who placed in what order, and in which particular event. Sure, there are those few standouts, who become household names, who garner multimillion endorsement deals, and who receive the ongoing, related spotlight and ‘stardom’. Or, perhaps a few of the athletes are our personal favorites. We will remember those names. What we tend to remember most, however, are the MOMENTS. The moments of excellence personified. Individual moments. Team moments. Moments frozen in time. We remember the stories of triumphs, and personal “overcomings.” These are what are emblazened on, and held snugly, in our hearts. Some say excellence means something along the lines of “putting out a high quality product.” This begs the question, of course, of where to draw the line. It discards and leaves behind, without consideration, the notion that excellence is an admirable quality in and of itself. It remains of value – with and without attaining a specific, predetermined outcome. It’s more fluid than that. Excellence in this sense is more in the shape of a circle than in a straight line. Let’s consider the fourth place finishers at the Olympics, for example. Do they embody excellence any “less” than those who get to stand on the podium as the gold, silver, or bronze medalists? There are inherent benefits of embracing excellence, within ourselves and in appreciating it when we see it in others. It FEELS GOOD to excel! It feels good to watch others excel! It’s PASSION in MOTION! What does excellence mean to you? Is it worth pursuing? Better yet, is it worth embracing in our daily lives? If so, in what way or ways? As we approach the time of “equal days and equal nights” and in the Northern hemisphere while we are transitioning from Summer into Autumn, let’s take a moment to reflect on the changing of the seasons. During Fall (Autumn) trees slow their growth, reduce their production of chlorophyll, and transform their leaves. There’s a natural cycle, a natural sequence. 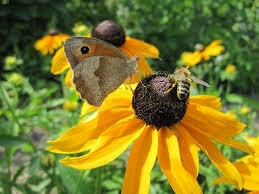 In the insect world, too, there’s a life cycle that takes its course in alignment with the changing of the seasons. It’s ongoing. And, it’s universal. There’s a shape to the year. As with the animals and the plants, it applies to us, too, of course. So, for this year, we’re three-quarters’ of the way in! As with a harvest, it’s a good time to reflect and “take stock.” It’s also a good time to envision what you desire to continue or to have more fully flourish, for the remainder of the year. We’re heading into and leaning into the home stretch! From within your own life, which of the “the fruits of your labor” from the past few months have come forward? Autumn’s harvest time is an ideal space from which to appreciate and partake in the blessings that abound, and that BELONG to YOU! Correspondingly, take a moment to reflect and decide — which ones would you like to let go, to release — to allow to die out, as they no longer serve you at this moment in time? As with a shepherd’s flock or a farmer’s field, this time of year, I invite you to take an inventory – an accounting, of your own life. From where you started your year, what desires have you been nurturing, watering, and tending to? Where have you directed your devotion and care? Which desires have you perhaps been neglecting? Which of your “crops” did well, and really flourished? Were there some that produced abundant fruit? In contrast, which ones did not fare so well? Was there an adverse change in conditions along the way? Were there unforeseen storms that may have wreaked havoc with your field? If so, how did you respond? Going forward, are there adjustments you can can and would like to make? 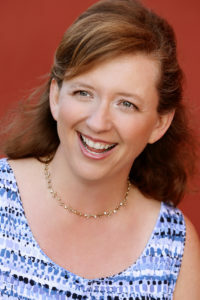 For me, my year as you may recall started with bringing into fruition and to you, the first installment of Soul Notes, and this blog. I’ve been fulfilling my heart’s desire to bring this to you on or near the New Moon and Full Moon each moon cycle since January. 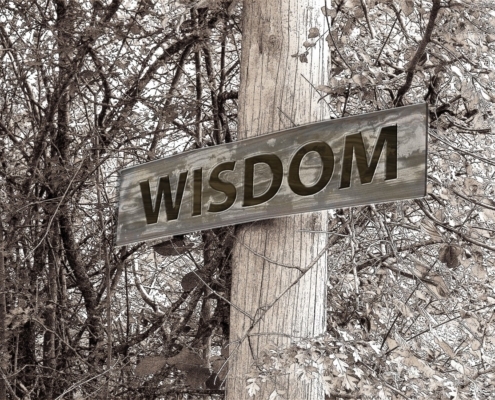 I consider it an honor and a privilege to share these posts with you, and to bring forward my version of some of the wise teachings I’ve received from my mentors and from other influences I’ve sought out and benefited from during my spiritual journey. Another of my heart’s desires this year has been to step into my role as a ceremonialist. Holding sacred space and conducting in-person women’s circles in and near my home, along with conducting Full Moon “Ceremonies in the Park” allows me to bring this desire out into the physical realm. During this time of ever-evolving technology, even with all its benefits, I also relish the sublime opportunity to connect person-to-person and to be in contact with the Earth and the natural world! This year, I also held a Summer Solstice ceremony and celebration at my home. During that time, at the “mid-year mark,” we each set into motion our intentions and sacred commitments for the second half of the year. Three months later, I have revisited those intentions. I invite you to do so, too. As with the seasons of the year, it’s helpful periodically to take stock of your lifetime journey as well. Reflect. Evaluate. Surmise. Where are you in the seasons of your life? Are you ready to embark on a new chapter? Allow your desires really, truly, FULLY to express themselves. If you’re feeling the inclination, the yearning, the pull to explore some “next steps” in this season of your life, in honor of your true desires, I wholeheartedly support you! Explore. Set out on the grand adventure. Dare to desire, and desire some more. Along the way, seek out a trusted guide. TURN ON YOUR SOUL. It’s time for a BIG let-go and let’s GO! As you survey your year, what do you notice? What has unfolded? What would you like to continue? What would you like to release? You get to decide. Choose, with confidence. Where are you at this point in your year? Take stock of your own personal growth. An accounting. An inventory. And, share what has come up for you. With this edition of Soul Notes, I invite you to take a soul soother – a soulful sojourn. It’s time to enjoy the wonder of the great outdoors! 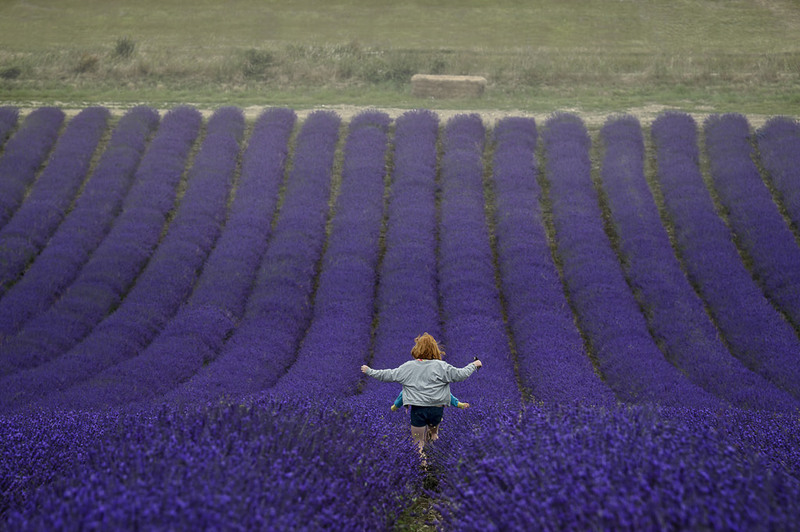 Now, before you picture yourself out frolicking in a field of daisies or lavender (oh, wait, that does seem pretty nice, doesn’t it?) – by outdoors, I simply mean, out of the doors – beyond the four walls likely surrounding you at this very moment. Outside: It does a body (and soul) good! “Outside” needn’t mean that you ought to be headed out into the wilderness, with a Swiss army knife, a compass, and a portable stove. And, it needn’t mean that you’re going to be hanging from a rock ledge, suspended mid-air over the Grand Canyon. Okay, yes — it could be that, if that’s your pleasure! It may just as well be in an urban setting. How about taking a walk along the storefronts? Or, how about sitting on a bench in a nearby courtyard or city park – between and among the office buildings? The suggestion here is this: Find a way to get OUTSIDE! Here’s a wild thought – how about going outside WITHOUT your laptop computer or tablet or smartphone? (Okay, well maybe not until you finish reading this edition of Soul Notes. I know, I know, the irony!) I suppose you could bring your electronic devices with you, if you must; although, I dare say that would kind of be “missing the point”! Stay present. Tap into your spirit – hear what your soul has to say! Enjoy all of the landscape! Observe. Be. Invoke your senses. What do you see? What do you hear? What does the air feel like? 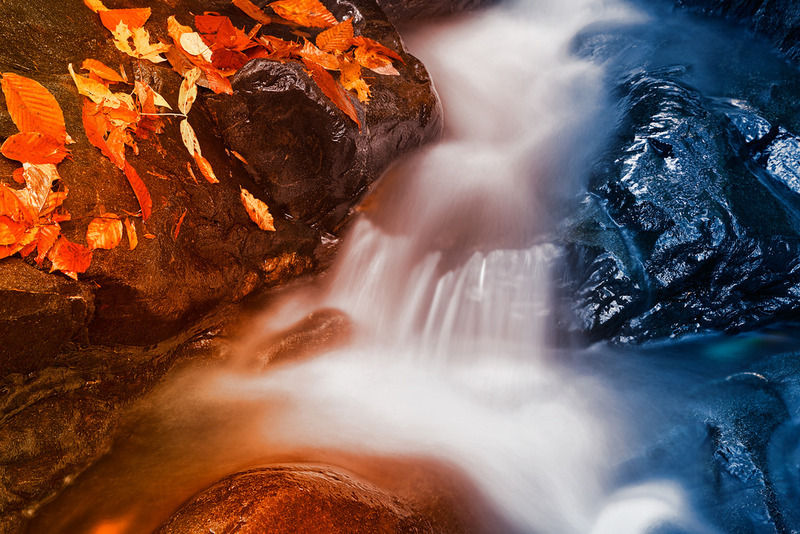 What do you notice about the energy outside – is it vibrant? Intense? Still? Serene? It’s helpful to gain a change in perspective. Yes, your literal perspective will often impact your virtual one. For example, as a member of a Los Angeles area bicycle club, I joined in group rides throughout various Southland neighborhoods. One weekend, we cycled from West L.A. to the heart of Orange County, traveling along the L.A. river, and at times weaving our way through traffic to the Crystal Cathedral and back. I’ve also spent three weeks bicycling through the hills and dales of County Cork in Ireland, engulfed by gale force winds, and pouring rain (along with some sparkling sunshine)! Venturing out on a bicycle provides an entirely different vantage point. Getting outside, up and out and away from our usual cooped up confines creates spaciousness and a renewed appreciation for what lies beyond the four walls. It tends to get the blood flowing. It often allows you to stretch your body, your mind, and even your eyeballs. The sky is a really big place…especially when you’re in it! Yes, that’s me skydiving above Southern California. That’s when I realized that the sky truly is a very big place! If you have ever leapt out the side of an airplane from two-and-a-half miles up, you likely know what I mean. 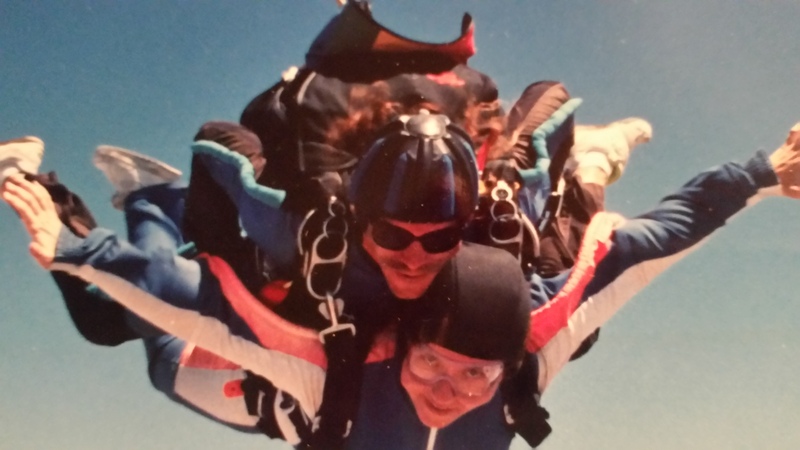 During a tandem skydive, my instructor and I plummeted toward the surface of the planet at 125 miles per hour, pulled the rip cord on the parachute, and floated to safety as we eventually put our feet back on terra firma. Throughout the jump, I distinctly recall feeling wildly free and in awe at just how truly expansive is the world that surrounds each of us. From time to time, we may only need a gentle reminder! If you’re like most modern workers, for a good portion of the week, you’re proverbially tied to a desk, hunched over a computer within a cubicle, or hunkered down in some other type of restrictive office space. On days on end some workers may even remain inside from dawn until dusk. Or, if they are out and about at some point during the day, they are scurrying from one place to the next, often in a car or on some form of mass transit. This weekend, I’m holding another one of my Full Moon and Water Meditation ceremonies. By design, I lead these women’s circles at a local park. My circle participants often remark at how much they appreciate being outside. They relish the opportunity to leave their work concerns behind, and head out into open spaces for the chance to commune with others and with Spirit out in nature. Feelings of disconnection turn to feelings of connection. During the next few days, I encourage you to release yourself from the usual grind, and rekindle your soul! Feel the ground beneath your feet. Listen for the crunch of gravel or pine needles. Look for cloud formations, feel the breezes, bask in the sunshine or moonshine casting a glow or shadows on objects in your path, along your way. This month the full moon is a SUPER one (meaning it’s especially close to the Earth). This supermoon makes for an even greater gravitational pull. Be cognizant of the extra power of this August full moon. I say we go outside and experience it. See you outside! When is the last time you consciously enjoyed the outdoors? In what ways did it shift your mood? https://lanoonan.com/wp-content/uploads/2017/12/Logo-transparent-300x72.png 0 0 Lori A. Noonan https://lanoonan.com/wp-content/uploads/2017/12/Logo-transparent-300x72.png Lori A. Noonan2015-08-29 06:11:242018-04-26 12:35:26Take it outside! In this edition of Soul Notes we explore the meaning and depth of the sacred art of ceremony. The word ceremony comes from the root, ceres, meaning: creator. Many modern day ceremonies date back to ancient times, and are said to stem from sacred rites performed in honor of the Creator. Additionally, they often involve certain formal activities, acts, or rituals. They may or may not be tied to religious functions or precepts. With or without a religious tie-in, there is a prevailing sacredness to ceremony. Across various cultures, we can all picture a number of ceremonies that come to mind. For example: graduation ceremonies, weddings, funerals, “swearing in” ceremonies, and initiation ceremonies. Others may be unique to a particular culture or region, such as the Japanese Tea ceremony. As a Keeper of the Water apprentice, I’ve been trained to lead Full Moon and Sacred Water Meditation ceremonies, as part of an ancient Native American practice, handed down through the generations. All ceremonies carry with them, and bring forward, meaningful traditions. What do all these ceremonies tend to have in common? With each, there’s a certain set of formalities, guidelines, and structure to follow. These aspects allow you to know that you’re taking part in a ceremony, as opposed to a more ‘ordinary’ event. There’s a devout reverence, and honoring that takes place. It often serves as a marker of some sort, in one’s life. Emotions generally run high and deep. Often, there is also a “setting of the scene” with the placement and invocation of sacred objects. 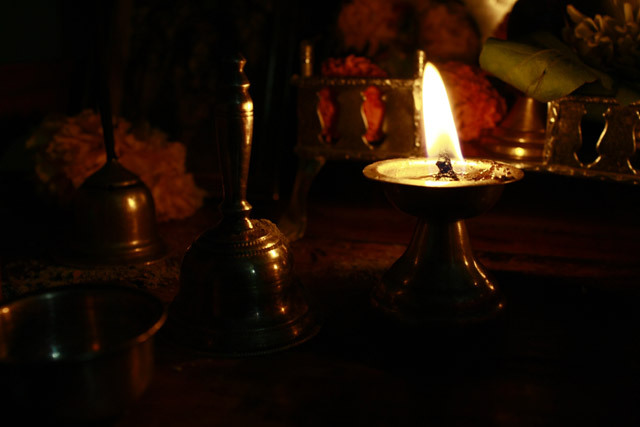 These sacred objects are often blessed and used solely for the purpose of ceremony. When not brought forth for ceremony, they are usually held in a safe, sacred space until needed. Another distinction of ceremonies is that they are led, governed, presided over, or facilitated by someone designated or chosen to do so. Often, it’s the ceremonialist who proclaims and maintains the intention for a particular ceremony. As I’ve been taught, it’s important for the ceremonialist to set aside ego, and allow the heart to take center stage. Additionally, the ceremony leader’s role is to ensure an atmosphere of reverence, safety and security for those who are participating and are in attendance. With compassion, the ceremony leader creates and maintains a sacred (metaphysical) container to hold a spiritual space and environment. The physical and the metaphysical are very much connected. It’s really about embracing and maintaining divine presence for all involved. It’s essential that the ceremony leader allow for the varying energies to move through in a way that is attentive, respectful, and connected to the heart, spirit and soul. Those who are participating in and witnessing the ceremony can feel it! This past weekend, a friend and I hit the highway, and took a road trip to attend a mutual friend’s wedding. As with many weddings, on this occasion, friends and family members gathered from near and far, to witness the marriage of two people special in all of our lives, and dear to every one of us. As the priest explained to those of us in attendance, our very being there added a beautiful and essential element. Our presence served in effect as an extension of their love. There were smiles all around when he said that! 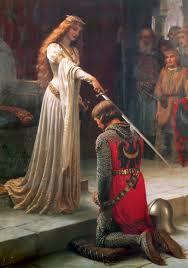 There’s a beauty in the witnessing of a sacred union, and in a commemoration of a solemn commitment. There’s also something beautiful and touching about seeing multiple generations coming together for such an occasion. I marveled at the sight of the grandmothers, with the wisdom of their years, sitting alongside nieces and nephews with their young eagerness, excitement, and dare I say slight perplexity and overall wonderment about the whole experience! I was also struck by the solemnity and juxtaposition of another friend having just flown in from attending a loved one’s funeral, making it in time to attend this wedding, an event that of course had been planned for months. So raw. So emotional. So pure. Facades, if any, were removed. “All that really matters” is what came to the forefront, and in clear focus. Why are Ceremonies so Important? Ceremonies serve as a marker. They commemorate and punctuate the occasion. They lend it grandeur, a sense of awe, and solemnity. Ceremonies and all that they entail lend texture, context, and richness to our lives. I love them! I welcome you to take a moment to reflect on your own life. To what kinds of ceremonies are you most drawn? For you, what makes a ceremony a “ceremony,” as opposed to some other type of event or happening? When is the last time you participated in ceremony? Or, what is the most memorable ceremony you can recall? What made these experiences so special?